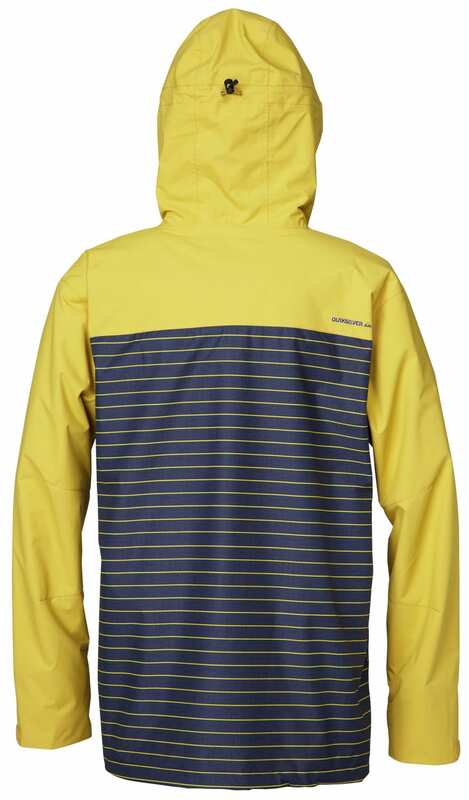 Imagine your stylish appearance in the ski lodge or on the slopes with the Quiksilver Show All Snowboard Jacket! Stand out with your attractive Quicksilver Show All Jacket. 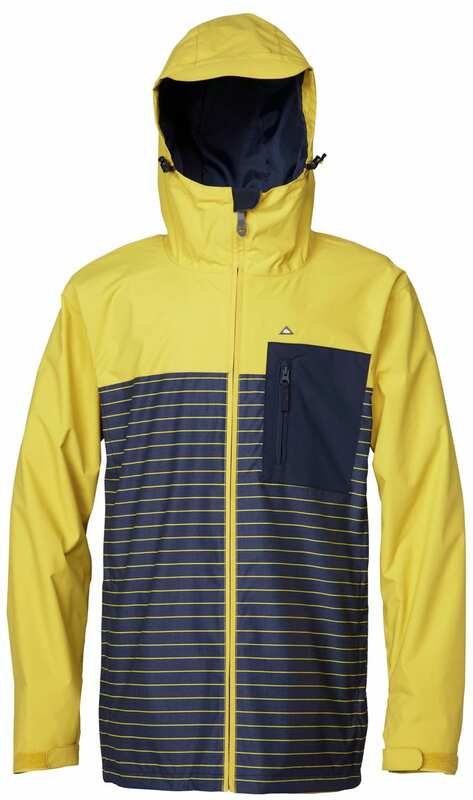 The Quicksilver Show All Jacket has 12 features making it a versatile Quicksilver flash down the slopes or a Show All in the streets. Wipe out in snowy slush and the Show All jacket will keep you dry with its 10,000mm waterproof material. Why should you have to give up style for comfort? The Quicksilver Show All Jacket has a media pocket and hand warmer pockets for subzero hiking. A stylish jacket should be a warm jacket for every inch of your body it covers. 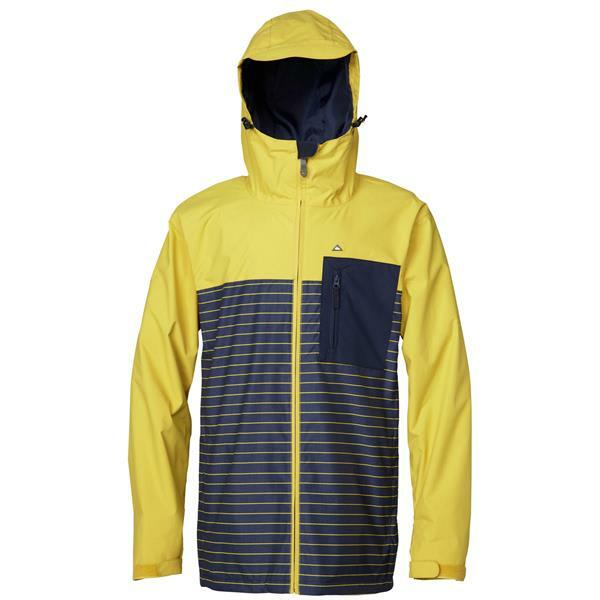 Get the Quicksilver Show All Jacket today! This Jacket does it's job well. I am 6'6" and 20 lbs and I got the large. It has plenty of length and has a slim fit to it. I only snowboard with a base layer, thermal, and jacket so you might not be able to fit a bulky down jacket under it but a down vest will work just fine with it. It keeps me dry when it snows and does a good job of keeping water and wind out. Good seals along the seams. I am very happy with this jacket. Does this have any pockets beside the media pockets? Like pockets to put your hands in the front? I can't see any from the pictures. BEST ANSWER: Yes it's has pockets for your hands and one of them comes with an attached goggle wiper. I know snowboard jackets are suppose to fit loose. But they always seem to be way yo big on me. I'm 5'7" 140 lbs. Will this be too big for me in a small? Quicksilver's stuff is not going to fit as loose (or big) as products from some of the other Snowboard companies. An S will not be too big for you. I'm 5'8'' 160 what size should I get? Hi I was wondering if youse ship to Australia I'll pay for shipping obviously? Hello , my weight is 70 KG and my height is 1,70M, would you recommendme size M?